The Cabot Gun’s Damascus Ladder Deluxe is the perfect intertwining of grit and sensuality – inspiring widened eyes, a quickened heart and immediate carnal reaction of raw desire. It’s confidence embodied in art, a culmination of collaborative effort between tradition and the cutting-edge. Unique to the supremely elegant Damascus steel slide is a sculptural texture which is as much an aesthetic addition as it is a deliberate consideration of combining form and function. 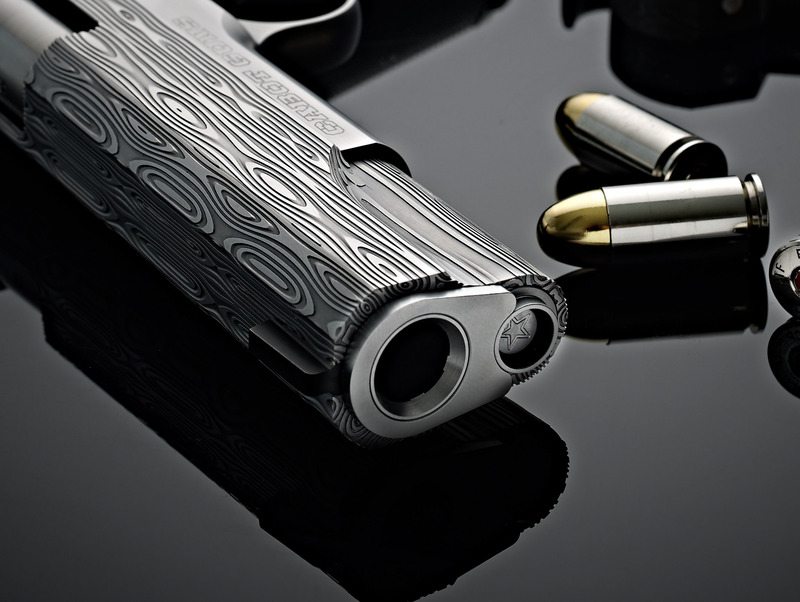 Cabot has developed a super-etching technique, which when applied to the Damascus Ladder Deluxe’s slide turns the entire top-half of the pistol into a tactile surface, providing a true and sure hold while racking a round into battery and running the gun. Designed in-house by Cabot’s very own Mastersmith Rob Schauland, a custom-made extended rear sight complements our unique reverse dovetail at the slide’s forward end. The Damascus Ladder Deluxe’s extra-long sight radius, running the entire length of the slide, assures the shooter precision-grade aiming and rock-solid reliability. There are three primary interfaces between shooter and weapon; the front and rear straps and the surface of the trigger itself. Attention to subtly in these areas is one of the defining characteristics of a Cabot Gun. The straps of the Damascus Ladder Deluxe each feature our 24 line-per-inch Rhombus Checkering. The flat-faced all-business trigger has been hand-serrated to ensure a steady and repeatable pull. 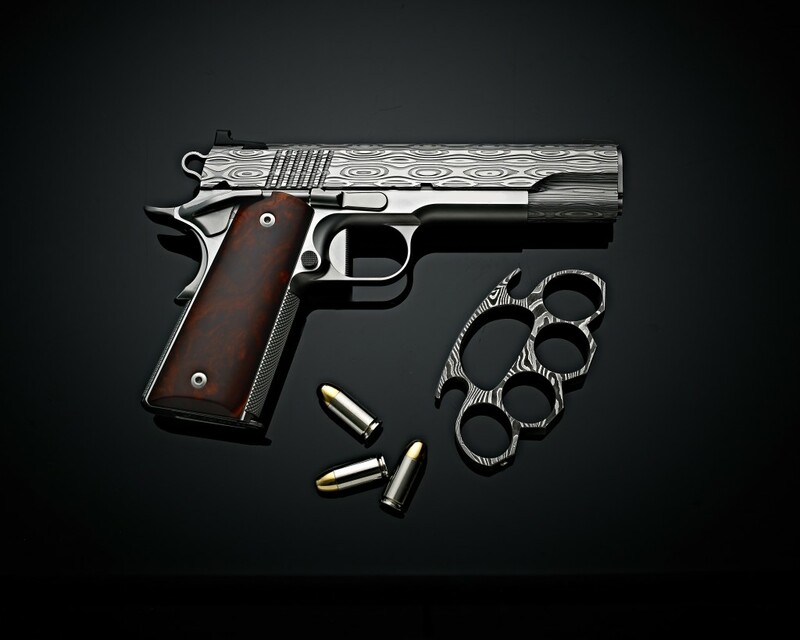 Coupled together, these features are what inspires the inexplicable confidence one feels as this pistol comes on target. Available standard with Sonoran Desert Ironwood grips. To place an order, select your pistol options below. On checkout you will be given the option to pay in full OR place a $2,000 deposit to begin your build. Once we receive your deposit, we will confirm your options and start your Cabot.